IAmElemental, the toy company that pioneered strong, healthy female action figures, doesn’t sell Superheroes; they sell Superpowers. Called The Elements of Power, each figure represents the Superpowers that reside inside us all. 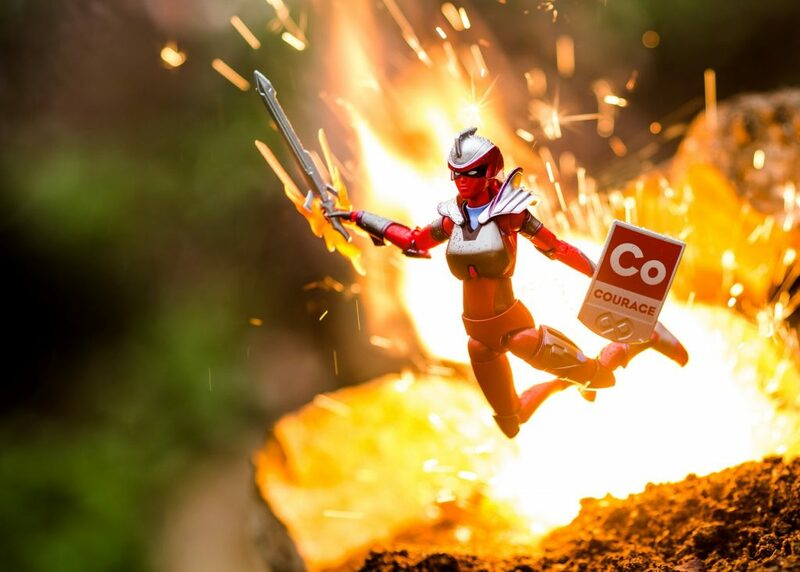 Since their launch in 2014, the company has been shipping figures around the world to military families attracted to the seven 4” action figures that represent the building blocks of Courage: Bravery, Energy, Honesty, Industry, Enthusiasm, Persistence and Fear; as well as their larger 6.5” Courage Core Power figure. 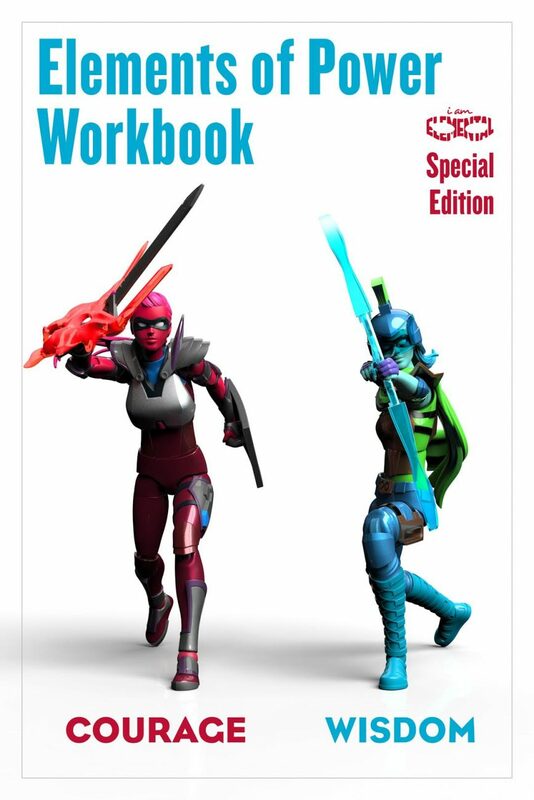 This past fall, they debuted a new children’s activity book, the Elements of Power Workbook. All profits from workbooks sold support United Through Reading, an organization that connects military families who are separated for deployment or military assignment, by providing the bonding experience of shared storytime. Made in the U.S. and printed by a second-generation veteran-owned business in Pennsylvania, the 7″x11″ 75-page softcover book retails for $9.99 and is available now. 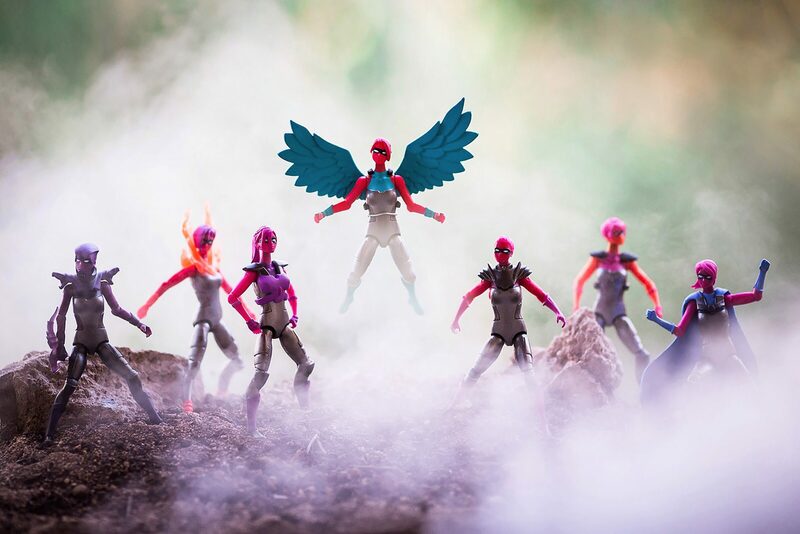 “IAmElemental’s special-edition Elements of Power Workbook features our award-winning Courage and Wisdom female action figures. 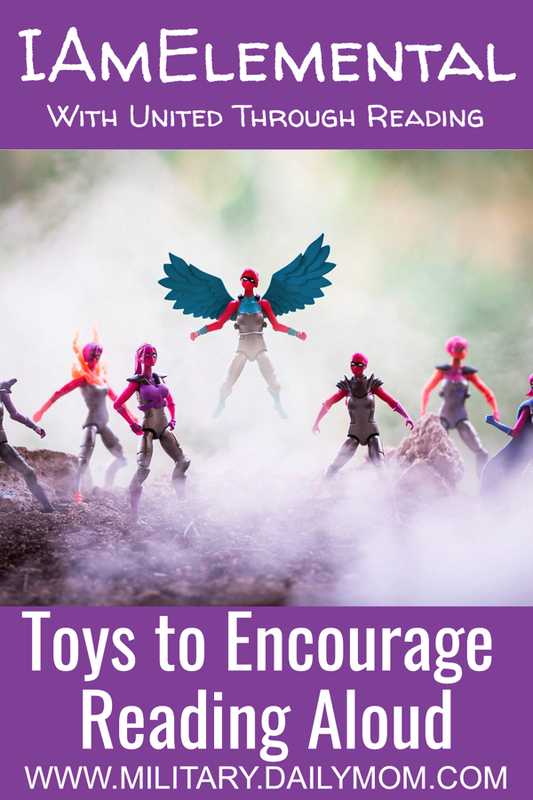 It introduces girls and boys to the positive and powerful messages of the IAmElemental universe, helping them explore character-building concepts and strengthen their own superpowers,” said IAmElemental’s Chief Elemental Officer Julie Kerwin. “IAmElemental’s fundraiser honors my husband’s grandfather, who died this past December, shortly after his 96th birthday. Joe was a World War II veteran who served as a gunner on the beaches of Normandy on D-Day and fought in five other battles under General George S. Patton including the Battle of the Bulge. We are grateful for his exceptional courage and for that of veterans and military personnel everywhere who serve our country,” said Kerwin. “Because we believe that ‘Literacy is the Ultimate Superpower,’ IAmElemental is especially thrilled to partner with United Through Reading, an organization that honors servicemen like Joe and supports children’s literacy. Their 40 Million Stories campaign gives deployed parents an opportunity to record themselves reading stories aloud for their children back home,” Kerwin added. Kerwin considers reading aloud to be her Parenting Superpower, and the secret to parenting. She started reading chapter books aloud to her firstborn son at bedtime when he was about three years old. She missed reading books (who had the time? ), so she grabbed a beloved chapter book off the shelf and told her son that it was a “listening book.” She’d sit beside his bed in the dark with a flashlight and read a chapter a night. One of the first books that she read aloud was Roald Dahl’s sublime Charlie and the Chocolate Factory. About the same time, she happened to read an article about parenting that posited an interesting theory. It explained that, when it comes to the relationship between a parent and a child (and the child’s developing relationship with the outside world), everything comes down to attention. And that one key to successful parenting is teaching your child to desire and “ask” for good attention rather than bad attention. Charlie and the Chocolate Factory provided the perfect language to help her son (and, later, his brother) internalize this message. At three years old, and for many years afterward, whenever he was asking for attention in the wrong way, she only needed to ask whether he wanted to be Veruka (…or Augustus …or Mike Teevee) or Charlie, and he would say, “I want to be Charlie!” And he would make the better choice; the choice to ask for good attention. However, reading aloud has gifted her family much more than just behavior modification opportunities. Reading aloud allows parents to introduce kids to really good literature earlier than if they waited until a child could read classics on their own. As a result, they quickly grow to enjoy and appreciate good writing. Reading aloud is wonderful for their comprehension skills. Because the adult has the ability to occasionally pause the story to discuss big ideas or passages that are important, kids become adept at recognizing and understanding universal themes and concepts embedded in literature. This ability will serve them extremely well in school. Reading aloud allows for the opportunity to introduce them to new topics and ideas that don’t necessarily fit into their already packed school curriculum. Kerwin recently read her boys All the Light We Cannot See. This beautifully written, Pulitzer Prize-winning historical novel had two likeable young protagonists: a blind French girl, and a German orphan recruited into a Hitler Youth Camp. Her younger son found it hard to process the fact that he was rooting for Werner even though he knew that, in real life, the boy would have been tasked with hunting down and killing American soldiers like his great-grandfather. Not only did her son learn a lot of history, he was reminded that, often, the answer to a difficult question is: Well, that depends. Reading aloud permits parents to, sometimes, edit words and passages. Kerwin is passionately anti-censorship. However, when she read her boys Mark Twain’s Huckleberry Finn, she edited out the n-word. They talked about the word’s history and its meaning. She explained why Mark Twain used it. And she explained why she wasn’t going to use it. Reading aloud teaches kids to be more empathetic. Every book that read aloud to a child reaffirms the existence of one basic truth: that there are an infinite number of ways to live a life. These books remain stored for eternity in their memory banks, helping them to make sense of who they are, and better understand the billions of people who co-exist alongside them in the world in which they live. Reading aloud is happy time spent together as a family creating a shared language. Kerwin recently reorganized her family bookshelves, and it felt as if she was sifting through her sons’ brains. As she sorted the books into piles according to type (picture books, chapter books, graphic novels, reference material, etc.) and subject (history, science, philosophy, fiction, biographies, humor, etc.) it was as if she was making her way through the data that makes up the sum of their parts; not only their brain power, but also their very essence. Reading aloud to kids plays a huge role in helping grow them into good people and interesting human beings. Finally, reading aloud is redemption. Deployed parents should be on the lookout for a United Through Reading video station. It is a marvelous gift for a child to share that read aloud experience, and keep a parent connected even when they are far from home.